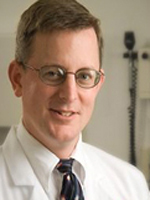 After training in internal medicine, pediatrics, and epidemiology at the University of Tennessee and completing a hematology/oncology fellowship, Dr. Howard joined the faculty of St. Jude Children’s Research Hospital, where he treats patients with leukemia and lymphoma, conducts research on supportive care, and serves as the medical information officer. His research interests include implementation of protocol-based therapy and development of cooperative pediatric oncology groups in low-income countries, tumor lysis syndrome, thrombosis, central venous catheter complications, osteonecrosis, and use of technology to improve patient care. He is particularly interested in development and application of evidence-based guidelines for management of common toxicities of cancer therapy, and investigation of reasons such guidelines sometimes fail to affect patient care. As the director of clinical trials for St. Jude’s International Outreach Program and Chair of SIOP Pediatric Oncology in Developing Countries, Dr. Howard assists colleagues in all continents to improve patient outcomes through quality improvement initiatives and clinical research. He also assists with content development for the free online oncology resource, www.Cure4Kids.org that provides educational content and online collaboration tools to 29,000 healthcare professionals in 178 countries. He also oversees development and deployment of www.POND4Kids.org, the online, multilingual Pediatric Oncology Networked Database that facilitates outcome assessment and cancer care improvement in more than 150 centers in 40 countries.